DIY weddings and festival style celebrations are so popular right now, and so many couples are marrying outdoors, building their wedding day from the ground up. We’ve seen couples passionately embrace the street food culture, swapping traditional alternate drop menus for food trucks that cook up delicious fare from around the world. Wedding catering is more exciting than it has ever been before! Alongside food vans, people are also looking for alternative ways to serve their alcohol. After all, a wedding isn’t a wedding without a chic bar to serve all those celebratory drinks. 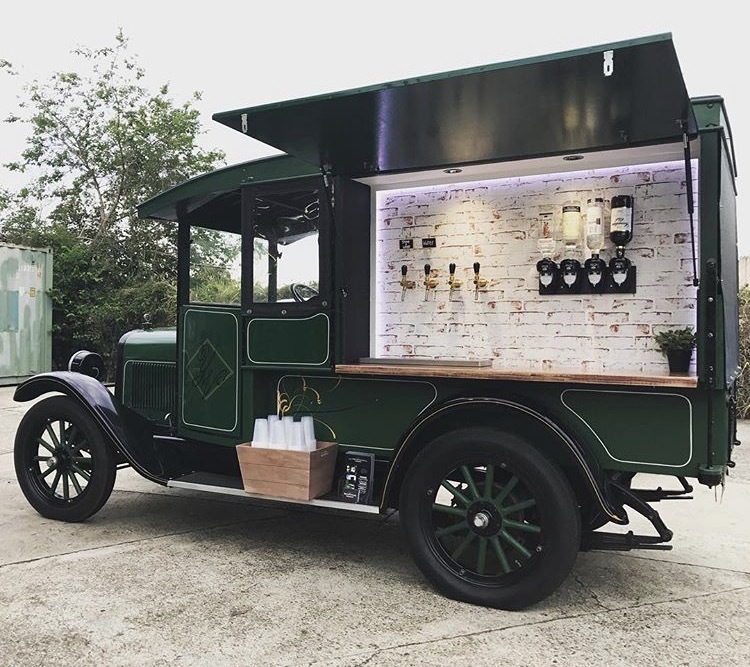 Thankfully, the Gold Coast has some amazing mobile bar vendors, all offering super cool, unique ways to serve ice cold beverages on your wedding night. 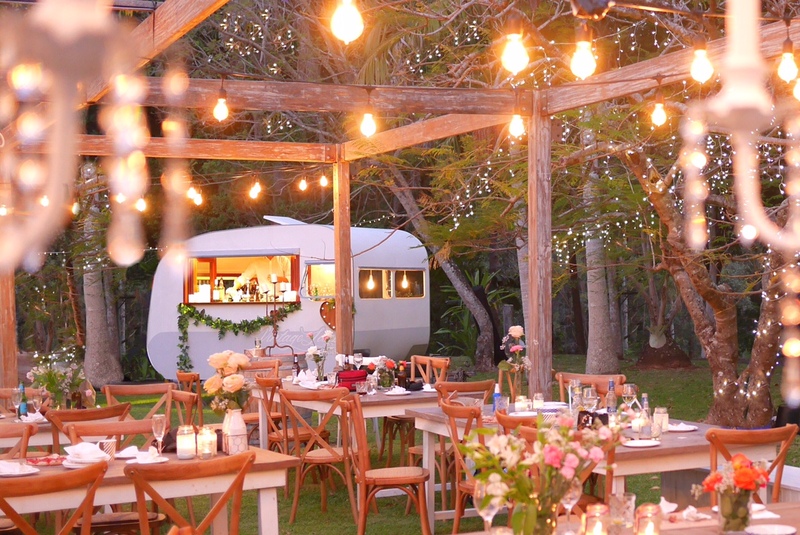 From vintage caravan bars to kombi kegs, we love them all! If you want to stand out from the crowd on your wedding day, take a look at Austream Affairs and their 1972 Airstream. This uber cool vintage trailer was shipped over from Kansas USA, and transformed into the sleek and shiny head-turner it is today. ‘The Boss’, as it’s affectionately known, can be hired with a staffed bar, or dry hire for catering companies. There’s enough wine and champagne glasses for up to 100 guests, and plenty of room to store our eskys full of your drinks. The Airstream also transforms into a DJ booth, or a make-up/hair station for a bride and her bridesmaids. 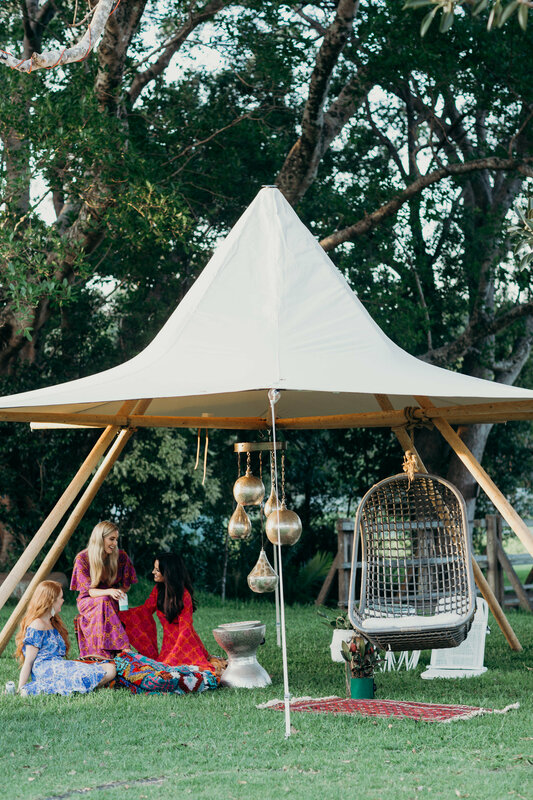 Oh, did we mention that this awesome multi-functional space will soon be available for glamping too, stay tuned! Step back in time with this sassy little number handmade in Melbourne in the 1940s. The Original Woodie Vintage Caravan bar has a tonne of character and charm, and can be decorated with props for that personal touch, at no extra cost. This family owned Gold Coast business has plenty of passion and soul, and can be hired with staff, but when the service is finished, there’ll be ice buckets filled with drinks so guests can continue to celebrate the night away while helping themselves to a bevy or two. If ice cold beers are your thing, the crew at Kombi Keg Gold Coast can definitely help you out! Kombi Keg Gold Coast is a unique dry bar wrapped in a restored 76 Kombi called OJ. The super stylish OJ has been customised and refitted with an instant-chill beer cooling system, with five taps that can pour beer, ciders, home brew and post mix soft drinks, pretty much anything that can go in a keg! 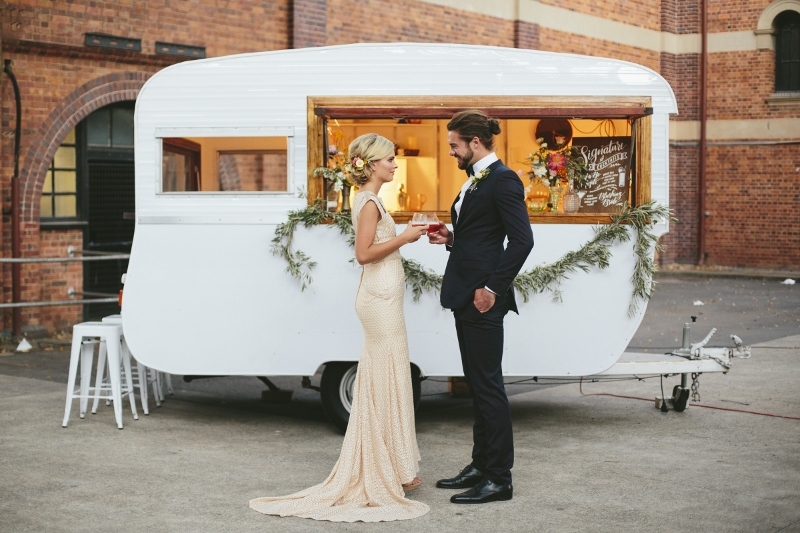 Raise your glass and celebrate your wedding day with My Vintage Lane caravan bar. This little beauty is gorgeous inside and out, and looks particularly stunning draped in greenery and fairy lights. ‘Little Lane’ has a beautifully crafted lounge inside, and comes with staff who always go above and beyond to ensure you have the best experience possible. It’s obvious that owners Jonathon and Samara love what they do, because their passion shines brightly through every aspect of their business. 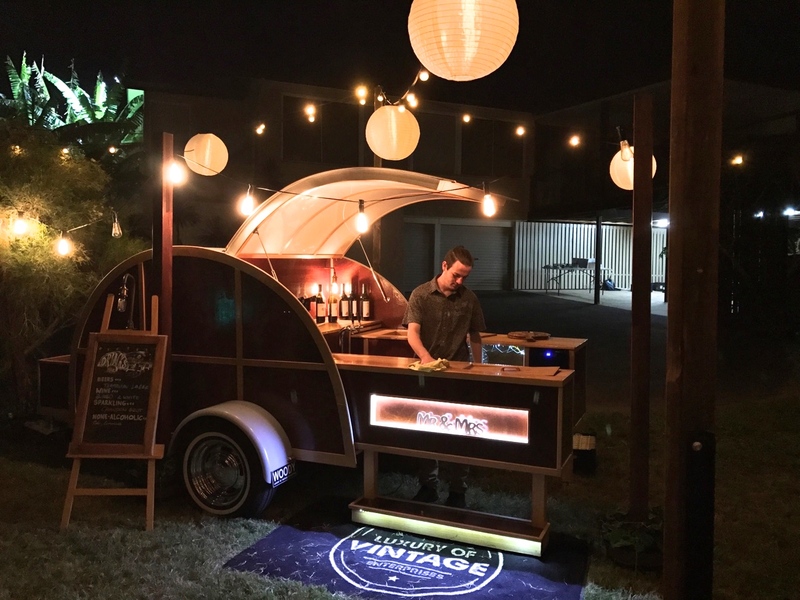 At 91 years young, but still as smooth as ever, ‘The General’ mobile bar from Young Vintage is definitely something extraordinary. 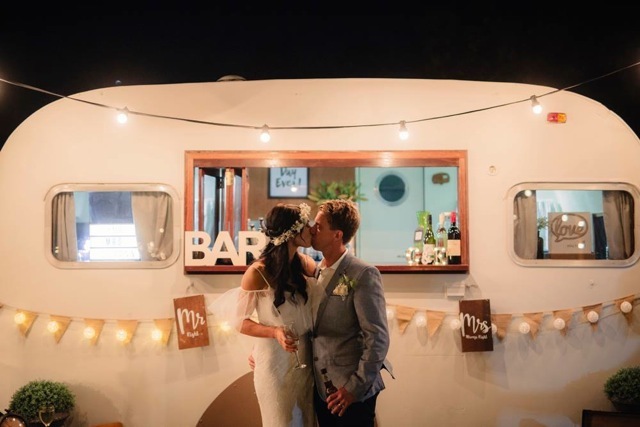 Tamara and Jimmy originally created the 1926 Chevrolet delivery truck turned mobile bar for their own wedding, but decided they wanted to share his magnificence with the rest of the Gold Coast. And thank goodness they did, seriously, is there a more stylish way to serve beer on tap? Just keep your ears out for the classic claxton horn, which is honked at least 3 times at every event! 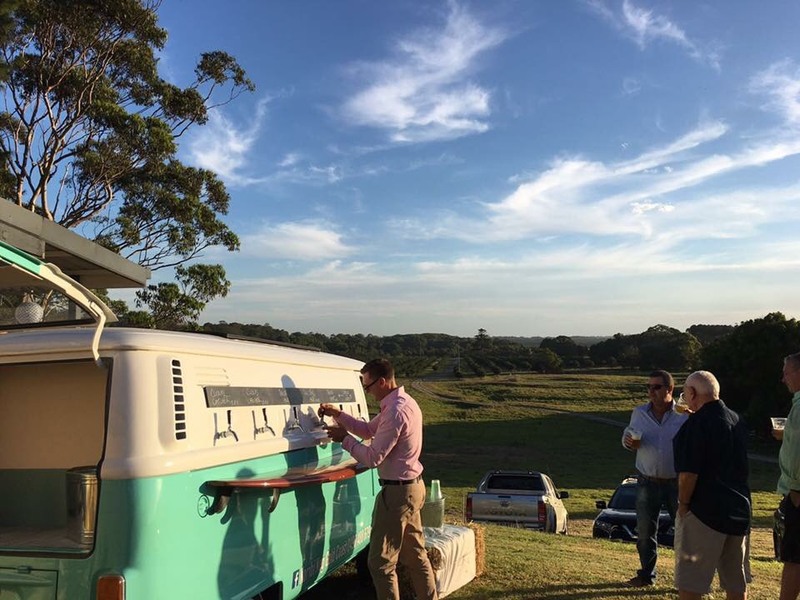 Adam and Jennny MacMillan spent 8 months of sleepless nights, early mornings and long weekends renovating the Gathering Event’s caravan bar to transform it into the picture of loveliness it is today. 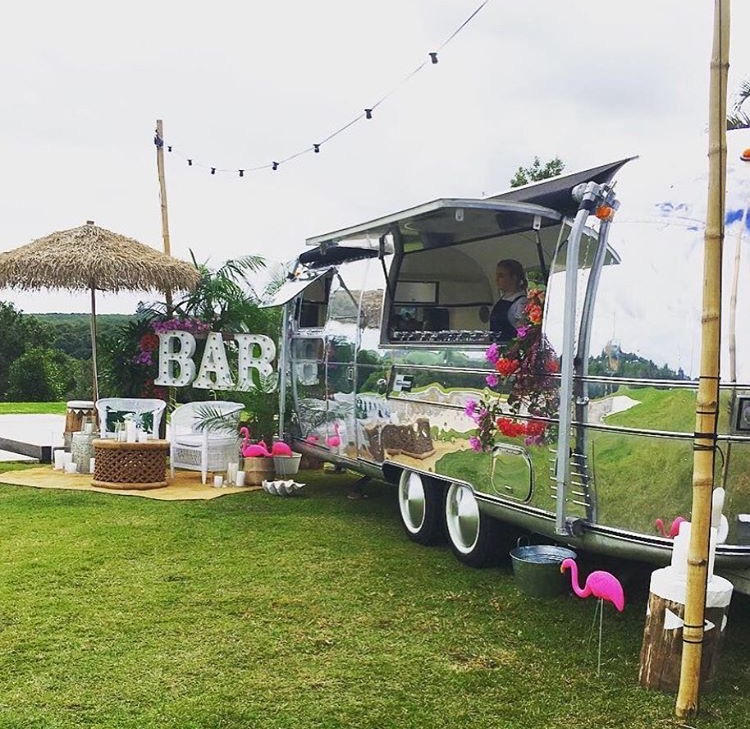 When you hire this chic little boutique pop-up bar you’ll also have access to a team of 12 talented bartenders, specialising in everything from cocktails to whiskey! So if you love your margaritas and Mojitos as much as we do, check out this little beauty, it’s really something special! 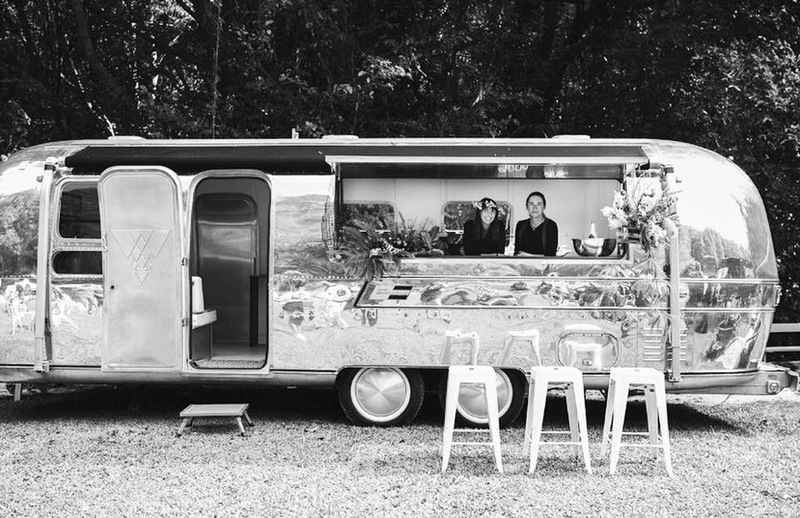 Woody is a charming mobile bar from Luxury of Vintage Enterprises, and the first of its kind in Australia. With a touch of retro class, a fully-licensed barman will serve your alcohol from the stunning 1960’s style, wood-grain, pop-up bar. Festoon lighting above the bar creates a great atmosphere and the charming bar staff provide exceptional service from Woody throughout every event.